Personalized white & black 60” arc square umbrellas are one of the most moving umbrellas in our collection of promotional. 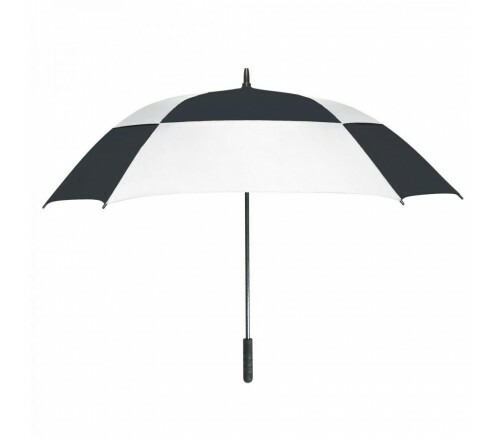 Marketers order it throughout the year as it is equipped with wind resistive features and are going to serve them longer than regular umbrellas. Features – sturdy fiberglass ribs, anti-wind square white & black 60” arc canopy to resist inversion, and fiberglass shafts with rubber handle and nylon/mesh case with elastic bungee cord-lock closure.